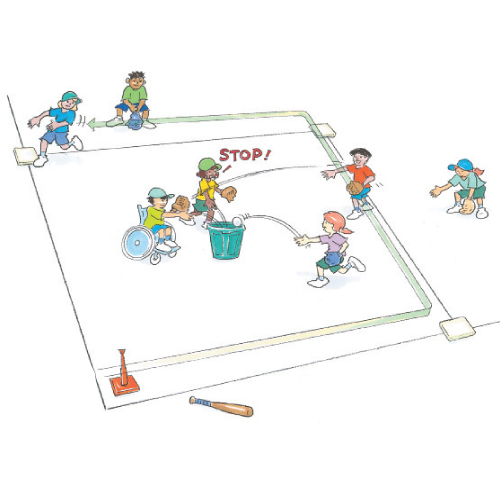 Beat the bucket is a fielding game that develops teamwork. Runners are challenged to place balls tactically and fielders to position themselves effectively and to return the balls in the shortest time possible. A batter hits 3 balls into the field and then attempts to run around 4 markers before fielders place all 3 balls in a bucket and call ‘STOP’. How do you get the ball back in the bucket faster? Where should the batter place the ball to score the most number of points? How could we make this activity easier or harder?